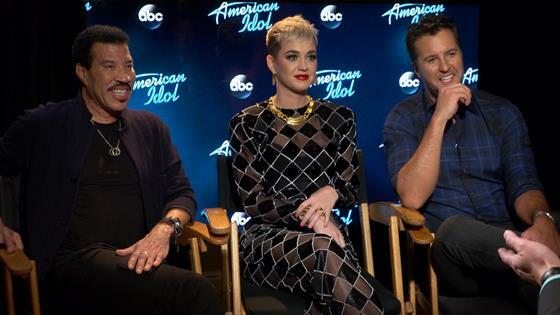 ABC's reboot of the beloved reality singing competition returns this Sunday, with Katy Perry, Luke Bryan and Lionel Richie sitting at the judges' table, hoping to find the next Kelly Clarkson or Carrie Underwood. And given all the attention on Idol's return, the show knew how important it was to find the perfect "recipe" of judges to re-launch the iconic show with. The first judge announced? Pop superstar Katy Perry, followed by country sensation Luke Bryan. But the person filling the third chair remained a bit of a mystery...until one dinner changed everything. "I heard that Luke was coming on and we were all wondering what the third position would be and I was really gung-ho about Lionel coming in from day one," Katy Perry revealed to E! News. "I actually made the call, and was like, 'It's Lionel Richie,' because I saw him out at dinner one time...and then we crossed paths the dinner was one of those things where it got extended by two more hours. He was just telling us all these stories. It's so interesting because you hear stories about your legends, he's got stories on all of them!" Richie, who joked that Perry barely got a word in during that fateful dinner, admitted he was "blown away" by the "Swish Swish" singer pushing for him to be the third judge. Add in Bryan and "forget about it, this is the best." As for their collective approach to judging these new generation of contestants, Perry said to expect brutal honesty as their mission is clear: "The stakes are high, especially these days in the music industry. I'm a super-realist and we only want stars." As for their individual styles? Press play on the video above to get a breakdown of what to expect from Perry, Bryan and Richie as judges. 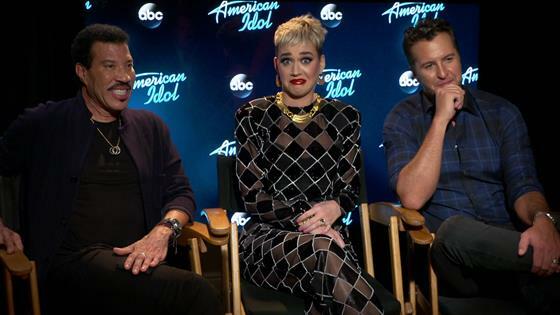 American Idol debuts Sunday at 8 p.m. on ABC.